North American blueberry growers will have to try new techniques and meet the highest quality standards if they hope to expand to Europe. Internationally, Europe is an expanding market for blueberries, and North American supplies are growing, but there are hurdles to moving product into those markets. There is no tolerance for chemical residue, and other growing requirements in European countries are akin to the standards of the USDA organic program, he added. Retailers not only demand berries with high-quality size, firmness, color and flavor, but often will accept only certain blueberry varieties, and in some cases prefer brands selling proprietary varieties. Altogether, “those requirements are often too high to jump over,” he said, for many North American growers. American blueberry growers have concentrated on domestic sales more than exports, University of California Davis professor Roberta Cook said in a December 2017, presentation at the New York Produce Show Global Symposium. European retailers are interested in U.S. blueberries, but at the same time are developing supply chains closer to home. Roughly 90 percent of European production goes to the fresh market, Brazelton said. Over the last four years, Brazelton has spent 18 months living in Europe, as a part of Fall Creek’s business there – he said it’s become a “better company” for learning from European techniques. 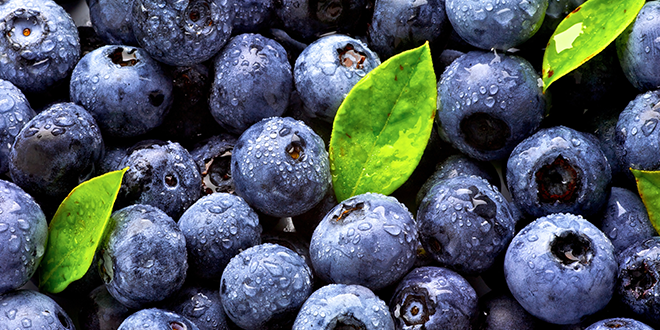 European blueberry growers work hard to meet the quality and food safety standards. “They don’t spend their time being victims,” he said. Many of the blueberries are grown under tunnels, which eliminates the spectrum of light that fungi need to grow, and thus eliminates the need for fungicide spray. Bushes are rooted in substrate and fed hydroponically. Hydroponic operations allow growers to make the most of the limited land and water resources they have. Brazelton said he sees an opportunity for high-quality North American frozen blueberries to be marketed in Europe. Many consumers in the continent have freezer space now, he said. Although Europeans don’t consume as many as prepackaged or highly-processed frozen meals as Americans, they may be more open to buying frozen blueberries as ingredients for cooking. North American growers may have to change their techniques in order to sell to those European consumers. What’s worked for North American growers up to this point likely won’t pay dividends in Europe, Brazelton said.